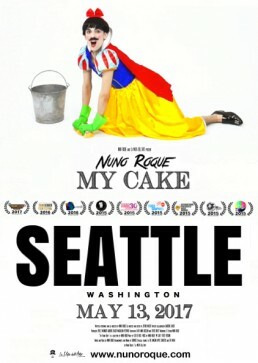 We are happy to announce that Nuno Roque’s My Cake will be screened at the Northwest Film Forum in Seattle (USA) as part of the 12th Translations Film Festival on May 13, 2017, @ 2 pm. This will be My Cake’s first screening in Washington. ‘My Cake‘ has already been shown in multiple festivals and cities in France, Canada, Belgium, Spain, Germany, Bosnia & Herzegovina, Russia and Republic of Macedonia and the USA. Saturday, May 13 – 2p.m.